Our very own Gagan Diesh will be presenting at the next Creative Mornings Vancouver the wildly popular and always anticipated monthly breakfast + lecture series. Gagan is a graduate of the Digital Design program who has been giving back to VFS as an instructor and mentor for over 10 years. He is now the imposingly titled External Examiner (reviews and evaluates the graduate projects in their final stages). He has made incredible contributions to the shaping of our curriculum and been a remarkable advocate for our students and graduates helping them launch successful careers. As you can tell from his answers to the Q&A posted by Creative Mornings, Gagan maintains professionalism aura without masking his enthusiasm for the work that he does. Even first thing in the morning he is always and engaging and insightful instructor, so we are looking forward to his on Friday February 4th. A free cup of joe and a delicious W2 Media Cafe breakfast are just extra incentive to attend! We would like to welcome a new instructor to the team — Steven Luscher. Steven hails from agencies, such as Blast Radius and Future Brand, and brings a humanistic approach to all of his interface development work. He will be instructing a variety of Interface Development courses. Welcome aboard Steven! Steven graduated from the joint York/Sheridan Bachelor of Design Honours program, with a specialization in interactive design and development. He comes to Vancouver Film School after 8 years of working for a range of clients, including Nintendo of America, Microsoft, Palm, Tiny Speck, Kiwi Collection, Electronic Arts, and Fido, independently, and in partnership with studios like Blast Radius and FutureBrand. We would like to welcome a new instructor to the team — Iain Smith. 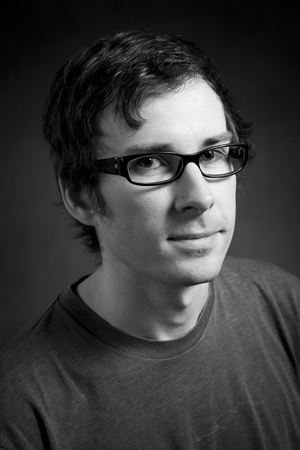 Iain is a very accomplished art director with a plethora of agency experience. He will be instructing Communication Design 1 and Communication Design 3. Welcome aboard Iain! 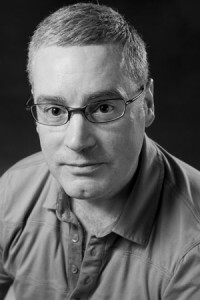 Iain Smith is an independent graphic designer, art director and writer with over 25 years of experience. He studied fine art at Red Deer College and communication and design at the Ontario College of Art and Design in Toronto. He worked as a Senior Designer at Ogilvy & Mather West, BBDO Calgary and Karo Design directing teams of designers and production artists in developing creative solutions for a variety of clients. As a contractor, Iain built client relationships that have lasted decades, producing advertising, corporate identities, illustration, web design and marketing for companies across Canada and the U.S.